HomeMusic VideosNEWS: Within Destruction Slam “Human Defect” in your face! NEWS: Within Destruction Slam “Human Defect” in your face! 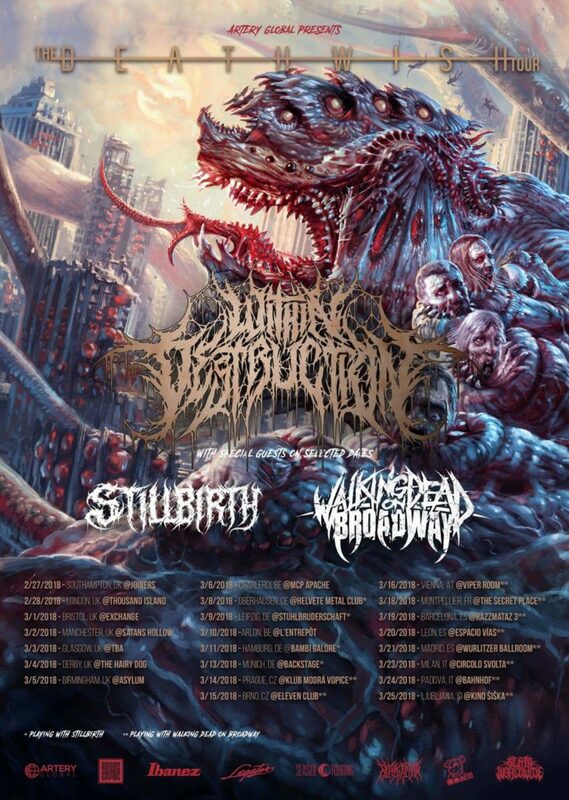 About to head out on a headlining run with Stillbirth & Walking Dead on Broadway, Slovenian Slam Deathcore crew Within Destruction have dropped a music vide for “Human Defect” from their upcoming new album “Deathwish”. The song features guest vocals from Infant Annihilator/Scumfuck/The Pecan Sandies vocalist Dickie Allen. “Deathwish” was Mixed & Mastered by Fit For An Autopsy guitarist and uber producer Will Putney and will see release on 30th March via Artery. NEWS: Mushroomhead in “Graveyard Du Jour’! NEWS: Altermind enter the “Archtype”! NEWS: After The Burial “Behold The Crown”!